While the focus of our medical practice at Brewster Veterinary Hospital is your pet's wellness, an important part of our services are the diagnosis and non-surgical treatment of diseases that can affect your pet's internal organs and body systems. Our experienced veterinarians, supported by state-of-the-art technology, are able to identify and treat a range of complex internal medicine diseases. Testing for glaucoma is a non-invasive, simple procedure that should not cause your pet any pain or discomfort. We apply a mild anesthetic eye-drop to ensure your pet is comfortable during the exam. Glaucoma is a common condition in which the fluid pressure inside an eye increases, resulting in optic nerve damage, which is followed by loss of vision and blindness. There are two types of glaucoma. The first type, known as either primary or chronic glaucoma, can be heredity or develop as your pet ages. The second form, referred to as secondary or acute glaucoma, develops as the result of an injury or illness. Because secondary glaucoma can progress rapidly, it is considered an emergency situation. Our experienced veterinarians recommend that your pet receive a routine glaucoma exam as part of his or her regular wellness care. The exam is an effective screening measure for chronic and acute glaucoma and it can help set a baseline measurement of your pet's normal intraocular pressure (IOP). Establishing an IOP baseline is important because normal measurements can vary between species, breeds, and even individual pets. 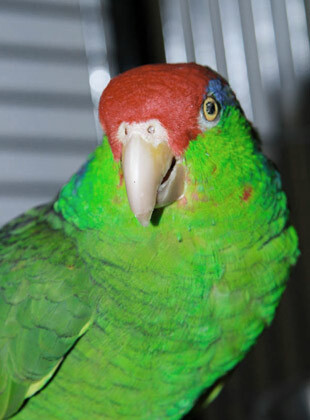 We offer care programs for birds, reptiles, pocket pets, and small farm animals. Since it is often difficult to determine if an exotic pet is ill, we strongly recommend physical examinations twice a year to check for health problems plus annual monitoring to check for nutritional and husbandry-related conditions. After acquiring your new exotic pet, a complete wellness appointment is strongly recommended. This exam includes a thorough physical examination, husbandry and nutritional consultation, disease screening and laboratory testing if necessary. 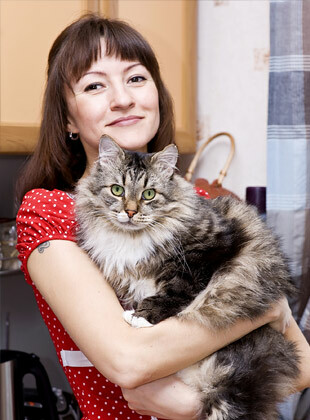 Before bringing your pet into your home, you want to make sure that he or she is healthy. Even with the right training and lots of attention, your dog or cat can develop bad habits or unwanted behaviors. Whether these problems are new, or they've been a part of your pet's past for some time, it doesn't mean that you and your family need to live with them forever. Your animal's behavioral problems might be a product of their environment, such as a schedule change or the introduction of a new baby or pet. Their behavioral problem may also be learned, as unwanted behaviors can arise as a result of unintentional positive reinforcement. You might also consider genetic factors. Painful disease or condition, or degenerative changes associated with aging, can cause or contribute to your animal's behavior problems as well. Proper nutrition and a balanced diet, along with clean water, is an essential ingredient for your pet's overall good health. As your pet's caregiver, nutrition is the most significant health variable you control. To support your efforts, the doctors at Brewster Veterinary Hospital perform a thorough body condition evaluation during each physical examination and provide dietary recommendations based on what they see. We can also provide you with important information on proper serving size, nutrient needs, and feeding strategies for your individual pet. We will also help you navigate pet food claims so you can make the most informed choices. Prescription diets benefit medical conditions such as liver disease, bladder and kidney disease, digestive problems, renal failure, food allergies, diabetes, and more. 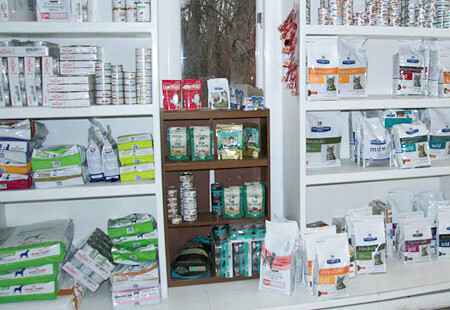 Brewster Veterinary Hospital carries a diverse inventory of prescription foods and high-quality nutritional products. If your pet requires a prescription diet we do not carry, we can easily order it for you. At Brewster Veterinary Hospital, we offer weight loss and food allergy management to you and your pet. We carry Hill's prescription diets and Royal Canin prescription diets.